Some of the best-known wineries in California are in and around Modesto, including the world’s largest privately owned winery, the E & J Gallo Winery. A California winery tour is a delightful way to spend a weekend in the Central Valley, and our luxury car service in Modesto will make the visit more enjoyable. There are several vineyards in the Modesto area, and although some of the wineries in Modesto don’t have tasting rooms, many of the nearby wineries do. The Delicato Family Vineyards Tasting Room in Manteca is open daily for tastings. The Tasting Room offers red and white wines, as well as limited edition wines only available at the vineyard. The Tasting Room and the Tuscan Room are open for special occasions and may be reserved in advance. The vineyard produces a selection of rose, dessert, and sparkling wines. Special events include the summer Artisan Market and the November Holiday Open House. The Lucca winery in Ripon began growing grapes on their family farm in the 1990s. Their handcrafted wines include Grenache, Syrah, Zinfandel and several other excellent vintages. Lucca Winery is open Friday, Saturday, and Sunday from 12 p.m. until 5 p.m., and is open on most holidays. Wine Club Members receive a discount on all purchases and wine may be picked up in April and November, or shipped to you. The Campos family operates their vineyard in a beautiful, tranquil setting in Byron, with a Tasting Room, a charming wedding garden, a concert venue, and an event center. The vineyard is available for private parties, special occasions, and events for members. The Campos Family Vineyards Tasting Room is open Tuesday through Sunday. You may purchase wine on your visit and enjoy a bottle with friends on the deck overlooking the vineyard. The third-generation winemakers at Peltier Winery & Vineyards have been producing award-winning wines for more than 15 years. The Peltier Winery produces a selection of fine wines that include Premium Zinfandel, White, and Red as well as dessert, sparkling, and hybrid wines. Peltier Winery and Vineyards is a must-see destination when you’re visiting Lodi on a California winery tour. One of the Central Valley’s most well-known wineries, Silkwood Winery has won numerous awards at competitions around the country, for their exceptional Syrah and Petite Sirah. Silkwood wines have even been served at the White House. The winery doesn’t offer tours, but their wines are served at restaurants, wine bars, and may be ordered online. Consider renting a luxury limo for the most enjoyable California winery tour. 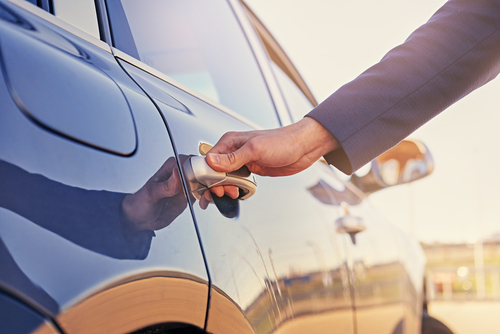 When you take advantage of our car service in Modesto, our chauffeurs will pick you up on-time at the location you specify. Our Modesto CA wine tours include a bottle of wine or champagne to sip in the limo while driving through the scenic wine country. Our luxury fleet consists of Cadillac Escalades, Lincoln Town Cars, Camaro Limos, and even Party Buses for small and large groups. We can provide you with luxurious car service anywhere throughout the Central Valley. If you’re celebrating a birthday, a weekend getaway, or a pre-wedding event with friends, call us to book luxury limo service and plan an itinerary for Modesto CA wine tours.